I stare blankly at my colleague who I’ve worked with for nearly two years. Does she think Pakistan is close to Puerto Rico because they both start with the letter P? “Mexico! Duh, you are so funny, everyone knows this, that’s why Mr Davis put you on the project in Mexico City.” She goes on with her irritatingly sing-songy voice. I really need to get a control over my pained expressions. It’s beginning to happen far more often, especially at work and especially in meetings with those who are higher up than me. Mr Davis *may* have had a chat with me about this last week. I’ve been trying to be vastly better but in this situation, it cannot be controlled. “Nothing is wrong Susan and just FYI, I am from Pakistan. So … no where near Puerto Rico.” I turn around in my chair and then quickly, before she could say anything else, I swivel my head back and say, “And no, I will not be attending the parade this year.” The confused/shocked look on her face makes me wonder if it’s because she feels duped or she just plain doesn’t know anything about Pakistan, aside from the whole, you know, media spouting how “dangerous” it is. I take a deep breath to myself and turn around again. This time with a smile on my face. While I may take delight in being called Ms Frosty behind my back, I’ve been told that it is not a positive nickname. Or at least it is not what gets people promoted. God forbid I just focus on work and excel. No, I have to be a sociable colleague as well. She seems to have finally gathered herself. “I am so sorry, I hope I didn’t offend you. Like, I literally thought you were from Mexico, everyone does. Plus, you actually speak Spanish.” I hate her sometimes. I face my computer again, put my fingers on the keyboard to respond to the latest barrage of emails I’ve gotten on why the partners in Mexico have delayed the project yet again. I close my eyes to try and regain my previous concentration and find myself entirely distracted. I think back to when this all started. When did I first get confused for being Mexican, or even anything other than Pakistani? Or more importantly, when did I accept being confused as another nationality. I used to be so proud when I was growing up and moving around to different countries. Often I would be the only Pakistani in my school and I felt special. Now, I just nod and walk away. What was it then? It had to be when I came to the United States for university, that’s when it all started. This false identity. This confusion for being someone that I am not. I was horribly shy when I first came to the US. Everyone else was so loud and comfortable talking in class, or speaking to strangers at parties. I did fight against being confused for another nationality at first. But then began the interest in South America, and the Spanish lessons, to go along with my International Relations degree. Or did I become interested in taking Spanish because I was being confused as a Spanish speaker? Oh god, this is the “chicken or egg” question of my life! Was it other people’s perceptions or my own that led me to a career in doing development in Spanish speaking countries? Why am I not doing this in Pakistan, a country that gravely needs help in women’s right and education? I felt myself reeling all of a sudden. Is this what an existential crisis feels like? Okay stop, you’re overreacting Maya. Let’s just focus on the work and get back to this later. Five minutes later, I’m staring at my screen and I definitely cannot focus. Let’s just take a walk around the block and clear the head. Pacing around the block, I walk past a newsstand. Something catches my eye, and I stop. The cover of a magazine focusing on how dangerous Pakistan is, another newspaper has a giant headline concluding that all Muslims are essentially evil and to top it all of, a women’s magazine on how to lighten all your dark spots. COME ON PEOPLE, I scream internally. That’s when I realised, I never stopped saying I was Pakistani when asked, most westerners just assumed I couldn’t be from this country since they classified me as an educated, independent, liberal woman. They didn’t even ask! This has to end. Things have to change. Assumptions cannot be made; perceptions need to change. I quickly walk over to the office and begin a conversation with Susan about Pakistan and its variety of people, thoughts and movements. That’s when I decided no more Ms Frosty, let’s open up and start the conversation. 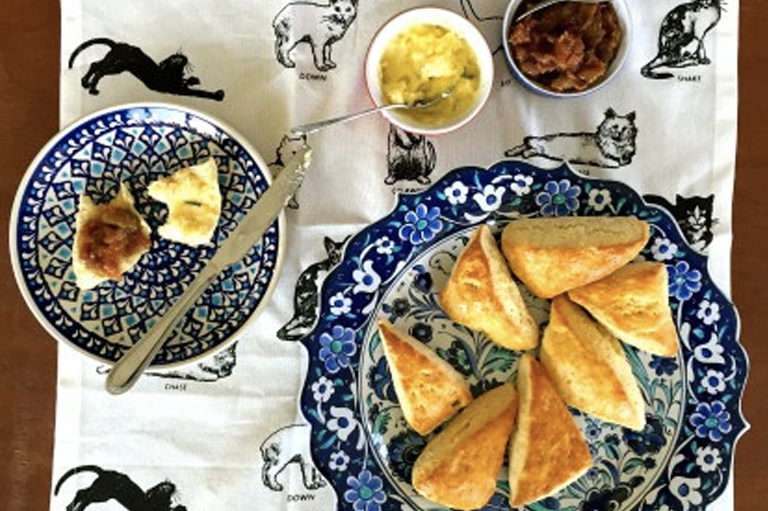 Inspiration for this story came about as part of this recipe developed as a mistake. I unintentionally desi-fied the beef by adding in garam masala and curry powder to the pulled beef recipe when it should have been cumin and coriander. To briefly explain, all my spices are in unlabeled jars, and I should really label them. Oops, but the beef still tasted damn good. 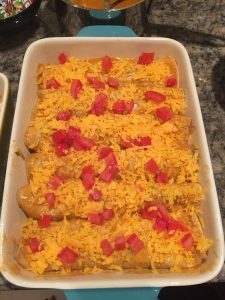 The rest of the dish is more or less authentic to this Tex-Mex dish. We can all be ourselves, but sometimes it’s good to add in a little fusion. Now, onto the recipe. 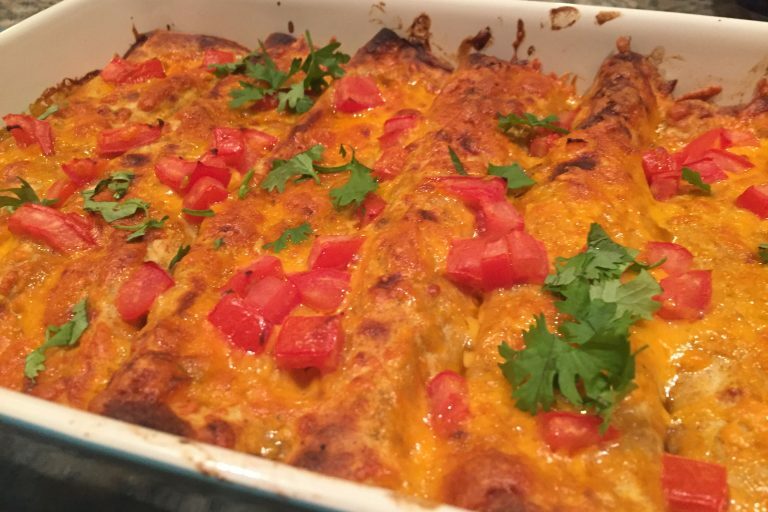 Making enchiladas can take a few steps, but it is worth it in the end, and each step doesn’t actually take very long. 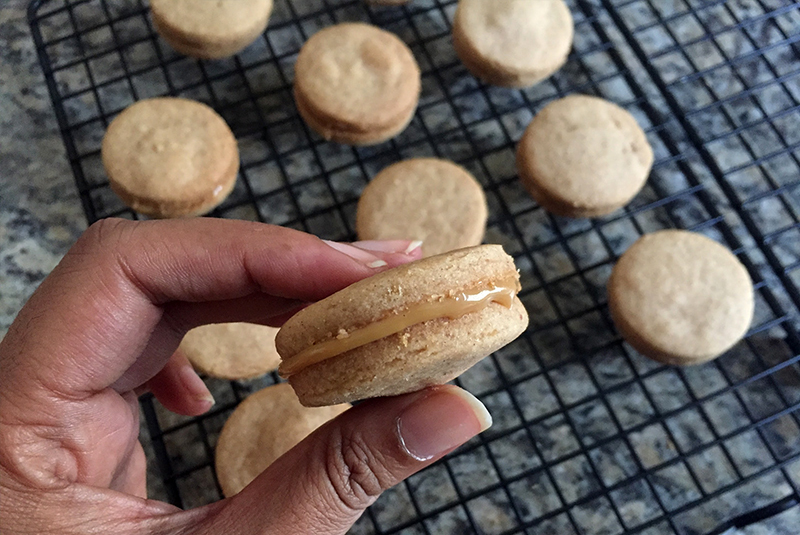 I’ll include recipes for all the elements you may want to make at home, but there are always quicker options. 1. 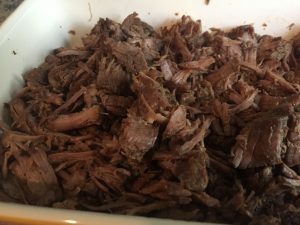 Pulled beef: Very easy to make it you have a slow cooker, otherwise you can always use chicken that has been baked and shredded with the same marinade. OR make pulled/shredded beef in the oven and cook this at a low temperature for a long time. 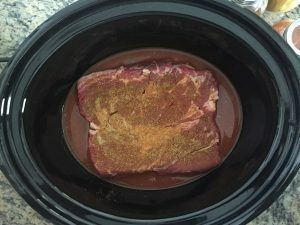 The best part of a slow cooker is the element of “dump and walk away.” Dump all your ingredients in, turn it on and 4-8 hours later, you have an essential part of your meal (or even the whole meal itself). The best cut of beef to use for this type of recipe would be bigger pieces of meat, like chuck or round roast, but any cut will do. 3. 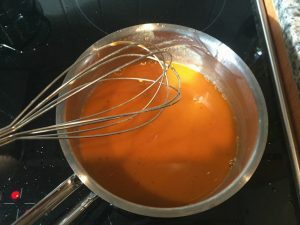 Add in the beef – the liquid doesn’t have to cover the beef you have, but make sure to spoon some of the liquid over the beef before closing the lid. 4. Takes 4-5 hours on high and 8 hours on low. 5. Once done, take out the beef and shred with two forks. 6. Take the reserved liquid out of the dish and simmer on the stove for 5-10 minutes until reduced. 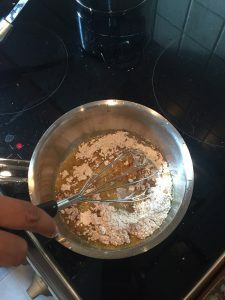 If you want a thicker consistency, add in a cornstarch slurry (1 tablespoon cornstarch, with 3 tablespoons of water combined), and simmer for a few minutes. 7. There can be a lot of reserved liquid, so feel free to use as little or as much as you want depending on how you want your pulled beef. I like to freeze my leftovers and use it later! Have everything ready and on the side of the stove. 2. In a pot over medium heat, warm the oil until it is hot enough that a light sprinkling of the flour and spice mixture sizzles when it makes contact. This can take a few minutes, and then test it out. Once hot enough, dump it and all and whisk constantly for about a minute. You’ll be able to smell everything nicely once it’s ready. 4. Bring this to a simmer, and reduce the heat. Whisking it for a couple of minutes until the sauce has thickened a bit. Once you’ve added the chicken broth and it’s simmered for a few minutes, the sauce is ready! 1. 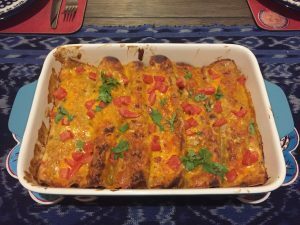 Get a square or rectangle cooking dish and pour some enchilada sauce on the bottom. 2. On a round plate big enough to fit the tortilla – pour more enchilada sauce on the plate and add one tortilla. 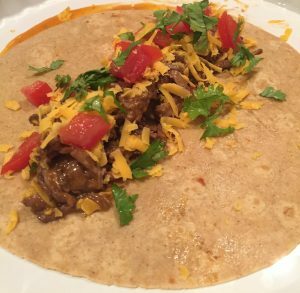 Fill the tortilla with as much beef and cheese as you would like. 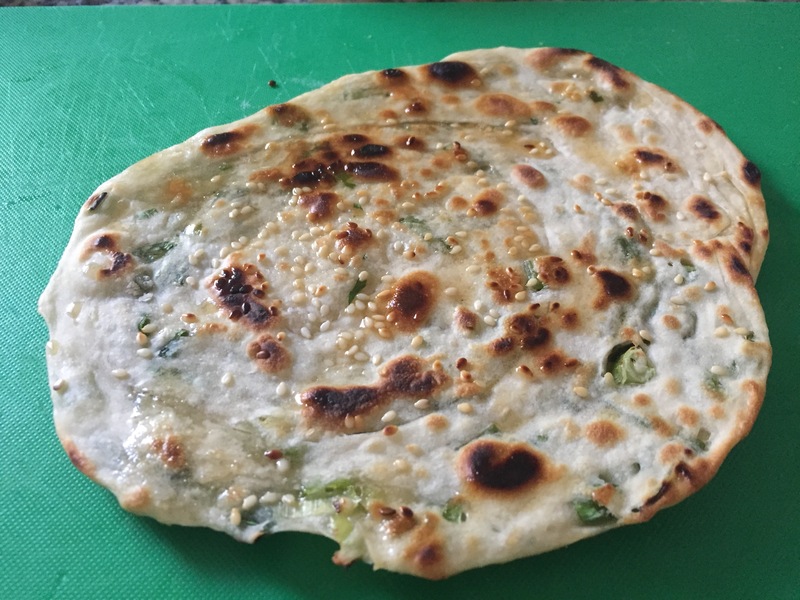 Feel free to add in other ingredients like coriander or beans! 3. Roll up the tortilla, and place in the cooking dish with the seam down. 4. Repeat until you have lined up all the tortillas that can fit in the dish. Usually about 6-8. 5. 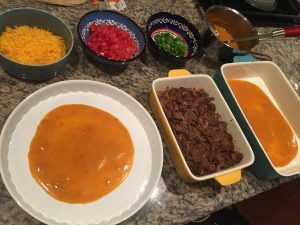 Pour some more enchilada sauce over the tortillas, and then sprinkle the shredded cheese on top, with half of the diced tomatoes. 7. 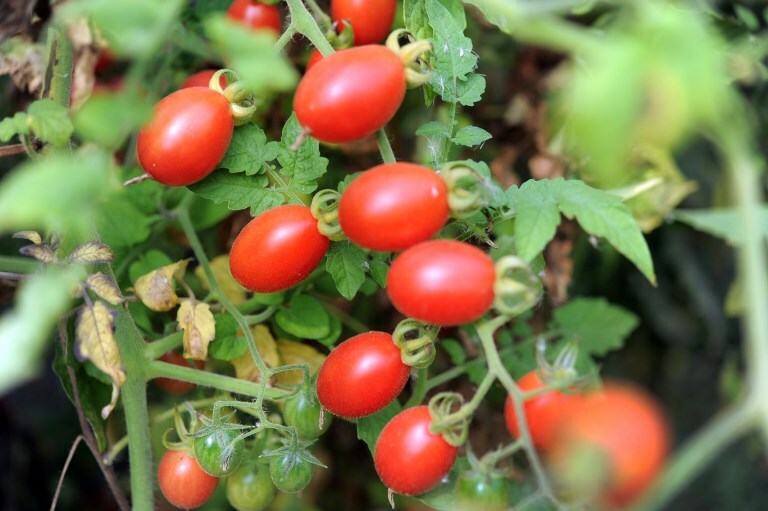 When done, put the rest of the tomatoes on top, and serve! Suggestions to serve with guacamole and sour cream/yogurt.